Over the past 21 years of having trichotillomania, I have learnt many things; from a growing understanding of the disorder itself, learning to love myself regardless of the hair loss, and also discovering products that make my life with trich that little bit easier to deal with. Since my teenage years, I've been on a continuous journey to find make-up bits and pieces that help cover the gaps and sparseness, and have even come across products that help not only prevent pulling but also boost the hair growth. I started this blog as a way to share the practical elements of my battle with trichotillomania alongside my emotional experiences; I have found that the two really do go hand in hand, and make-up has been a huge part of this. So in my many years of trying and testing products for trich, I thought I would share the few that I always turn to (and have been for the best part of 10 years). I've tried loads of eyeliners in the past- from gel, to pen and liquid- and this is the one I always come back to. Collection have this knack of creating some real bargain hero products (including the Lasting Perfection concealer! ), and this eyeliner is one of my faves. Whilst the nib isn't the finest, after a bit of practise it's a doddle to use. 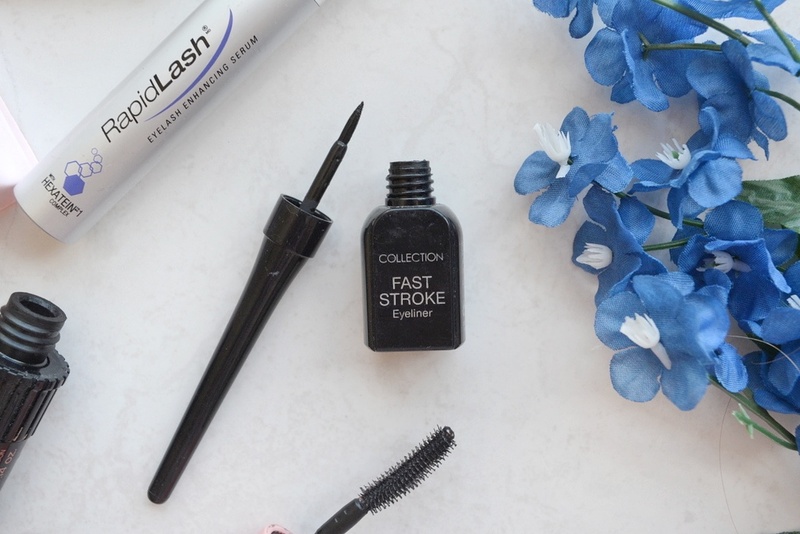 The wet formula is jet black and fab for creating bold looks. It doesn't fade throughout the day like some eyeliner pens and is completely smudge free. It has more of a crumbling texture than smudging, so it's really easy to remove (no rubbing at your eyes and causing further irritation!). It's only £2.99...you've got to try it! (You can read my original full review here). Now, I have a bit of a love hate relationship with this products (I feel like there are changes S&G need to perfect it), but I just can't keep away. I've written about why this product is one of my favourites for trichotillomania before, and I still stand by it as one of the best out there. The pencil is the perfect texture and I personally find that Brownie Points is a great colour match for me. But it's moreso the tinted end that I use. The super-fine pen deposits brow tint that has great staying power (more than a pencil), and it is so good for replicating individual hairs either alone or layered over a powder/pencil to create a more realistic, 3D look. I just the tint didn't dry out so fast, but for £10 it isn't bad! As I've rambled about so many times before, Kiss are possibly my favourite brand for false lashes. I haven't picked out a specific style because they do quite a few that are amazing for trich, but you can check out my top styles in this post. 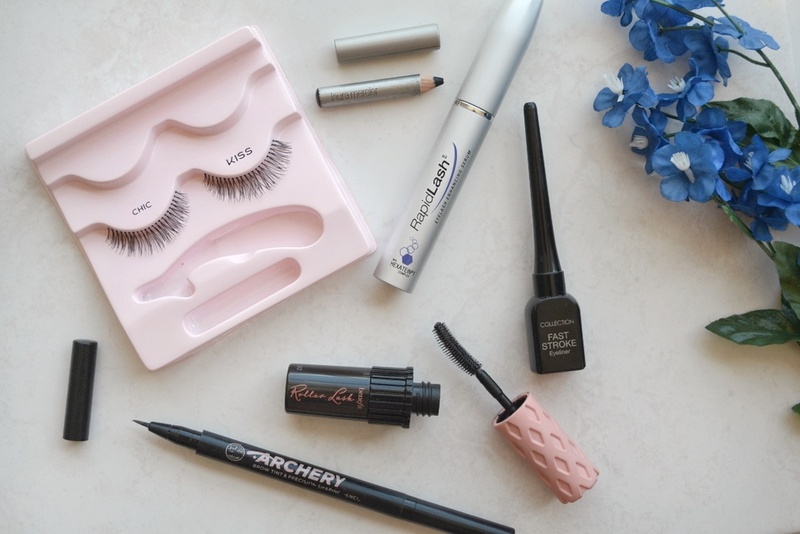 Their lashes are so lightweight, to the point you don't realise you're wearing them, and they create some of the most natural lashes I've found which help you pass them off as your own. In fact, they were some of the first lashes I ever fell in love with and opened my eyes to just how much false lashes could help me. The glue is some of the best I've tried (I only ever really need to give the corners a top up by the end of the day). They also deter me from pulling when I'm wearing them...I could gush about the brand all day! This stuff was the first make-up product I used for trichotillomania. It amazed me how smudging a little bit of black liner into my lash line could completely change how I looked, and how I felt about myself. Whilst there isn't a specific brand that I always use, this Laura Mercier one has been serving me well! You don't need to splash out on kohl; as long as the pencil is soft and smudge-able then that's all you need. It's a great product to start off with as it is more subtle that liquid eyeliner or false lashes, but just enough to disguise the baldness a little. If you're new to make-up or don't usually wear much, get yourself a kohl eyeliner pencil and practise drawing over your lash line, being sure to smudge the line gently to prevent any harshness. Yes, I know, another mention of the serum. But honestly, it's my holy grail product for trich. 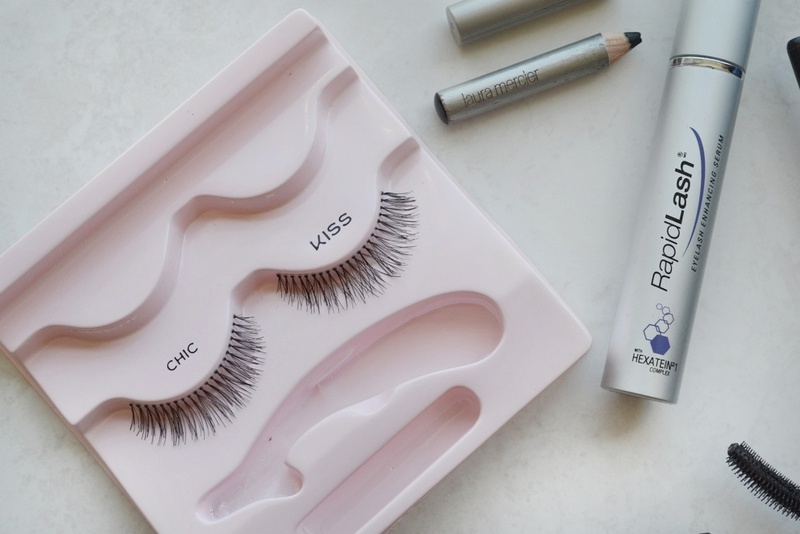 I religiously apply it every evening across my lashes (or where my lashes should be if I am lacking!) and I truly notice such a difference. The serum essentially helps to boost hair growth and ensures that lashes are stronger and healthier when they start to poke through. (I doubt there's evidence for it, but I swear that it makes my lashes grow through faster too). It's one of the only serums I've found without a mascara-type wand, meaning you can easily use them on bald lids...and brows too! It isn't the cheapest product (it's worth shopping around for), but I see it as an investment in something that really works for me. You can read a full post on the wonder-product here. 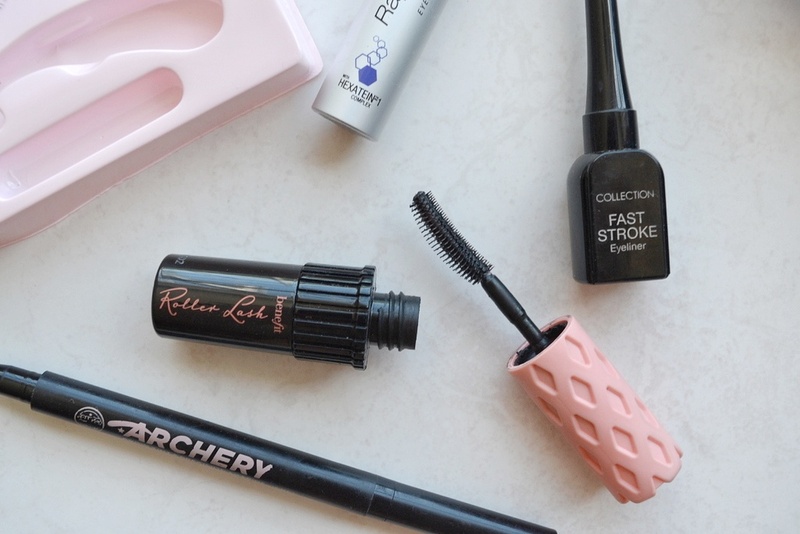 Trich or no trich, you need to try this mascara if you haven't already. As soon as my lashes grow through, I get so excited and can't wait to start wearing mascara again! Whilst I have a stash waiting to be used, I find myself gravitating to the same ones- mainly Roller Lash. Again, I've reviewed this in full before, but it still remains one of my ultimate trichotillomania products. 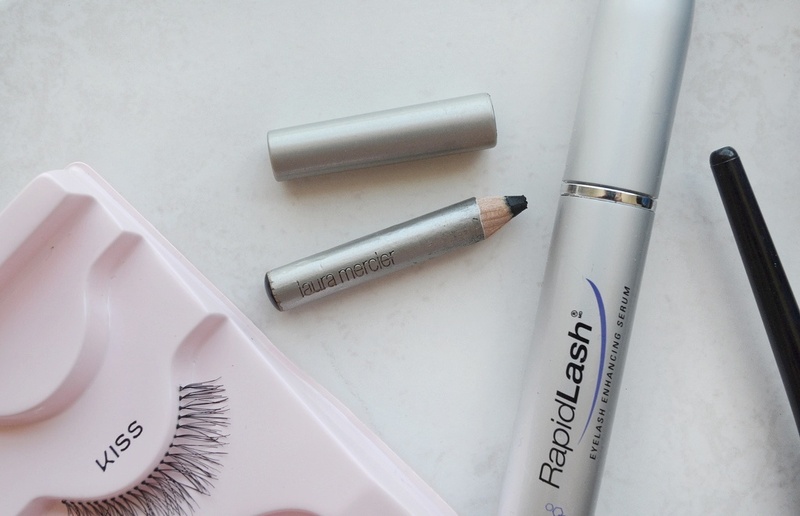 The design of the bristles ensures each lash is caught, covered and lifted; in theory, you shouldn't need to use the dreaded eyelash curlers, but I usually curl my lashes and then put this on top...and the results are incredible! 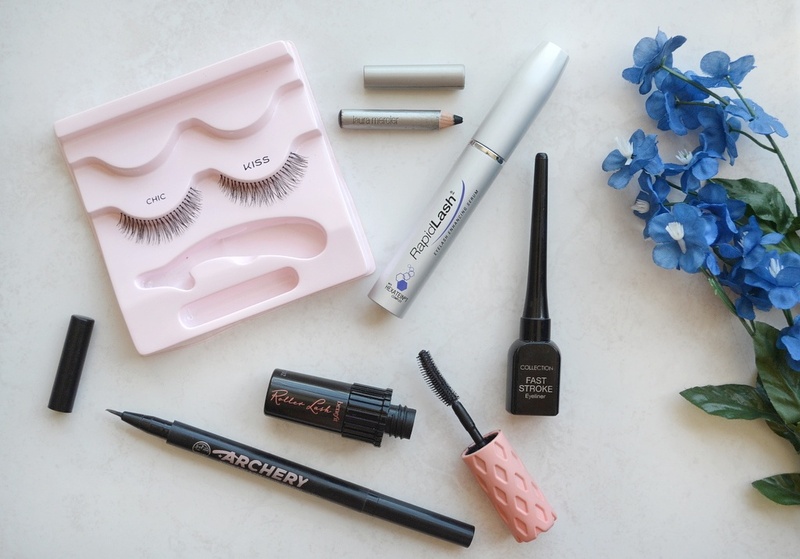 It's a great all-rounder for sparse, short and weak lashes, and I even find the ever-so-slightly tacky texture helps prevent me picking at my lashes. The dinky sample-size is my go-to- it costs £10.50 but you can often find it for cheaper on eBay. What are your 'holy grail' products for trichotillomania?